In a gesture of support for International Holocaust Remembrance Day, the Girl Scouts of Utah launched an innovative and unique program for its more than 8000 girls and 3000 adult members. 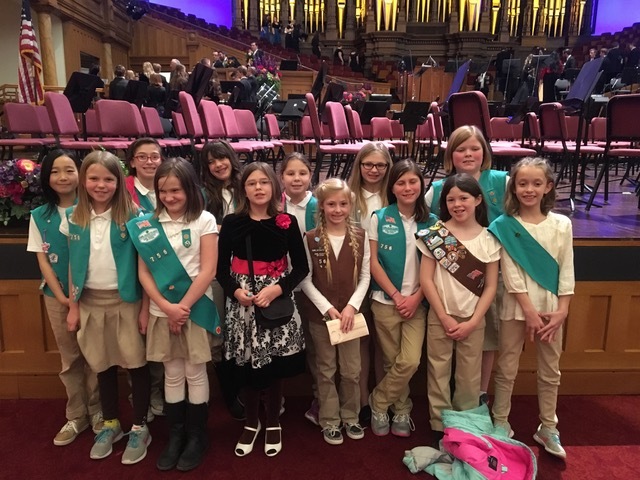 The campaign encouraged Utah Girl Scouts, from kindergarten through the 12th grade, and their caring adults, to attend the performance of Circular 14: The Apotheosis of Aristides by Neely Bruce, that took place January 27, 2018 at the Mormon Tabernacle in Salt Lake City, Utah. The program was designed to increase their awareness and understanding of the Holocaust through music.